It is obvious that when Dr Symonds writes, he carefully considers every word to make sure his message is clear and understandable, even to a history novice like me. This is a great book. I hope everyone who is interested in the navy, civil war or Lincoln will read this book. I encourage Tantor, Recorded Books and Audible to produce all of Dr Symonds books. This was a great book with a very powerful ending. It was well written, and well read. Best reader of all time! 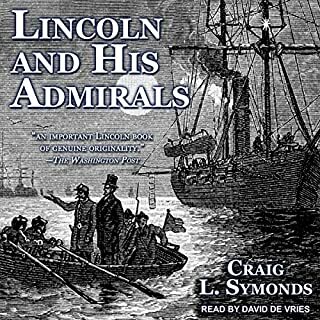 All of Craig Symond's books should be recorded, and he should read them all. Well written, easy to follow, great book! Great read!! Fluckey did a great job putting you right in the action. Those who were there are the best at this. The book doesn't just tell you what happened, it lets you experince it first hand. You also get to know the men on the boat. I feel like I have a bunch of new friends. This book would be great for anyone interest in action, excitement, and history. The production of the Audible portion was one of the best I have ever heard. The reader even pronounces the word " submariner" correctly. If you have ever spoken to an old submarine man he will be quick to tell you it's "submarine-er" not "sub-mariner." 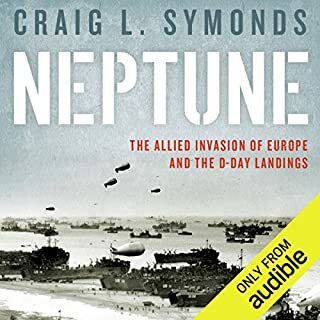 This one of several titles that have needed to be on Audible for a long time. 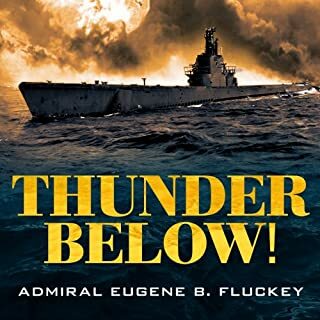 If everybody buys this title then maybe Audible will add other tiltes like: Richard Kane's "Wahoo" and "Clear the Bridge," and Edward L. Beech's, "Run Silent Run Deep," "Dust on the Sea," "Cold as the Sea," and "Submarine." Well, I'll start by saying that Scott Brick is an excellent narrator and I purchased this book after listening to a video interview he did about it. The book definitely introduces some interesting ideas into the world of sf. If you are looking for something unique this book may be what you are looking for. 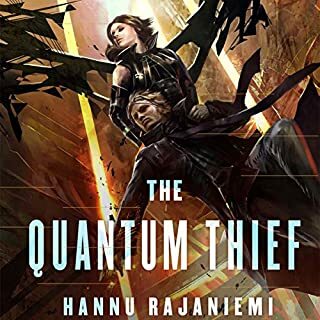 That being said, I found the book extremely hard to listen to, I didn't care about the characters, I found the main character's side kick extremely one dimensional and annoying. The story never really seems to go anywhere. 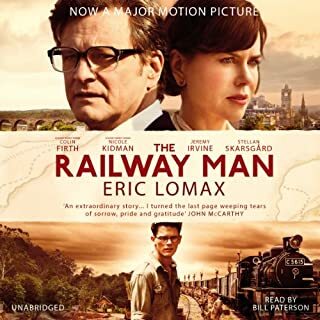 In most fiction the flow moves toward an exciting conflict in this book I felt like I was being lead around with a blind fold and when we finally got where we were going it was very anticlimactic. I also had a really hard time following what the heck was going on in the book, that is probably why I didn't like the characters and such. Normally I really enjoy a book that drops me into a world and lets me figure it out on my own but in this case it got way to deep way too fast, nothing ever seemed to be explained. Anyways, that's my opinion don't let me dissuade you from trying it. An American general is captured in the Middle East. His captors threaten to behead him within days. But moments before he is rendered unconscious during the attack, the general realizes that his unseen captors are American. I will start off by saying, if you have a few hours for a good exciting read… Buy it! That said, having read these authors other work I am amazed at the magnitude of transparency between the real Jack Coughlin (Mastery Gunny SGT/ Marine Scout Sniper ) and the main heroin. At some points you can’t help but shake your head and sigh, this book is like a fanciful overlay for Jack Coughlin’s book “Shooter” a historical account of his experiences in Iraq. 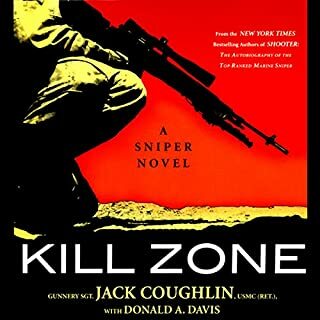 If you are looking for a book about war, snipers, marines, ext I would highly recommend Shooter the authors other book however, this book is excellent!